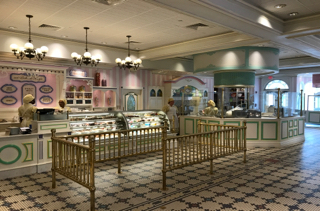 The Confectionery is one of the first "shops" that guests encounter after entering Magic Kingdom. If they don't see the sign over the door, they are certainly drawn in by the sweet smells. I took this shot yesterday morning, before the official opening of the park.